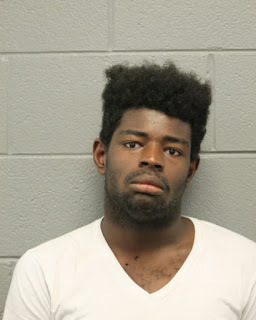 Two counts of arson have been filed against 22-year-old Eric Howard of the Chicago Lawn neighborhood in connection with two fires in the 3200 block of Sheffield on Tuesday. Howard is currently on parole for burglary, according to the Illinois Department of Corrections. As CWB Chicago reported exclusively yesterday, police were on the look out for a known suspect in the fires, which were set to a dumpster early Tuesday. He is also accused of setting fire to carpeting in a stairwell of a building that houses Alderman Tom Tunney's office. No one was injured. Prosecutors say Howard admitted to setting the fires with a lighter. Bail is set at $300,000. Officers took Howard into custody shortly after our Wednesday report at the Center on Halsted, 3656 N. Halsted, without incident.